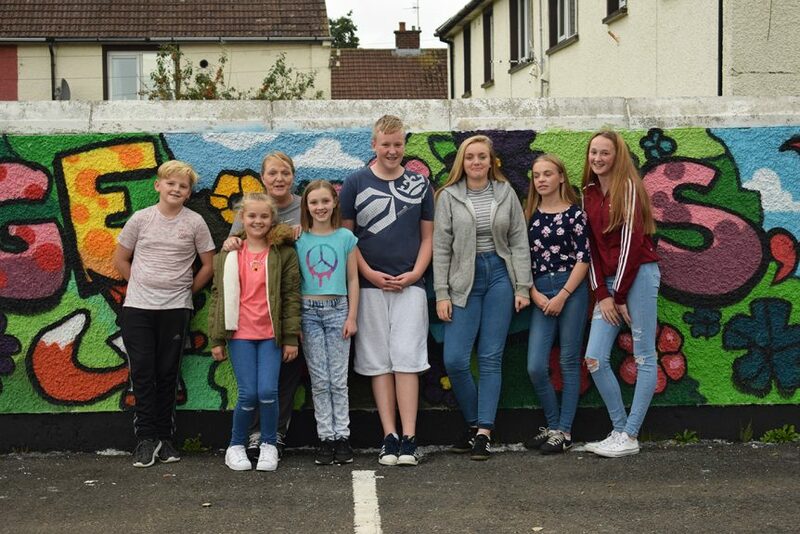 Suffolk Community Centre is working with Marian Noone (aka Friz) on a street art piece. 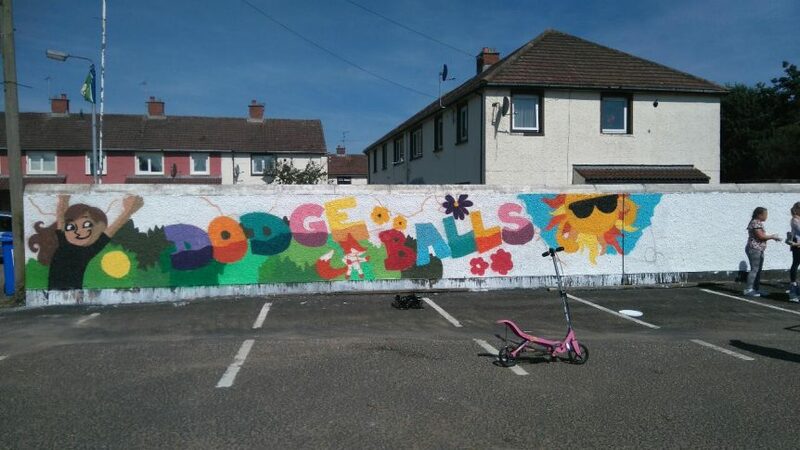 The theme is road safety and dodgeball as the young people have a dodgeball club in the centre. 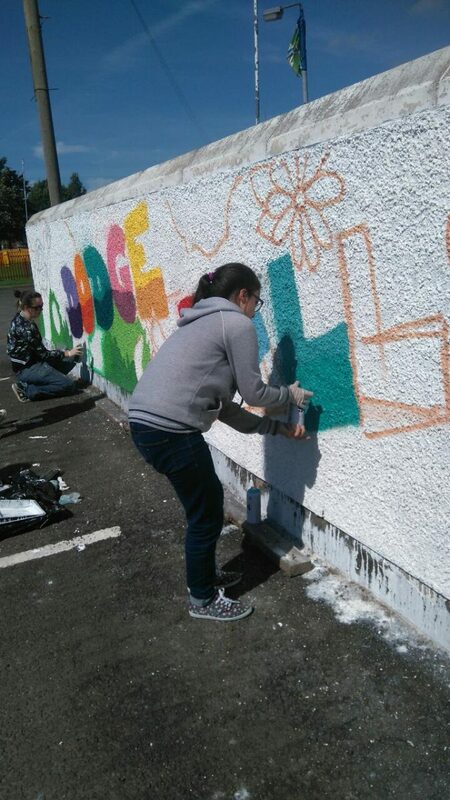 Hit the North is our spray art festival which runs in September every year. Now in its fourth year the festival also has a community engagement programme for groups to take part in. 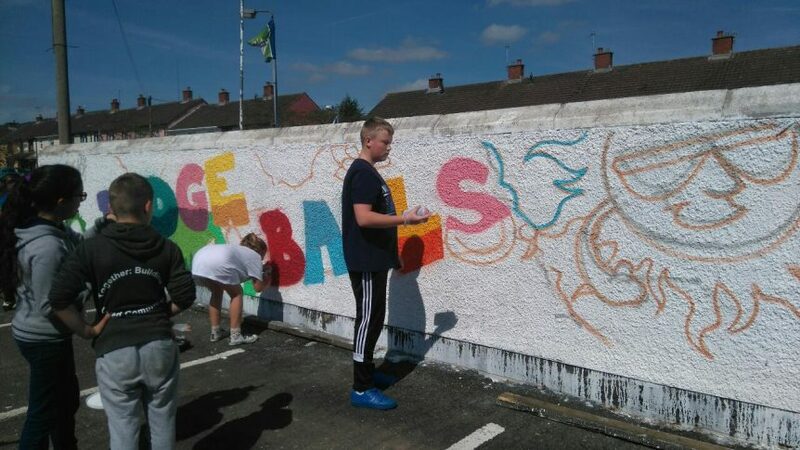 Other community groups spray painting away are Denmark Street Community Centre, Clanmil Housing Group, Holy Trinity Youth Group and Ballybeen Mens Motivation Group.